Momentum investing is an investing strategy that aims to capitalize on market trends. When a stock is trending up, momentum investors will buy. When a stock is trending down, momentum investors will sell. It sounds simple and shortsighted, but studies show the strategy consistently works. Momentum stocks tend to outperform the broader stock market. So in other words, the trend is your friend. Once a market starts to rise or fall, it tends to keep going in that direction. It is similar to Sir Isaac Newton’s first law of motion – an object in motion stays in motion unless it’s acted upon. You may be suspicious of momentum investing. Making decisions on the market’s latest mood swings does not sound prudent. Instead, many Oxford Club Members tend to gravitate towards value investing. Value investing is about buying quality stocks at a reduced price. Who doesn’t like a great deal? “Buy low, sell high” is the value investors adage and momentum investing requires buying high. But the strategies are not mutually exclusive. In fact, the most successful investors mix investment strategies for greater returns. Momentum investing may require buying high, but if the prices keep rising than it is a valuable investment. Value investing and momentum investing are both good strategies, but neither are fool proof. The best investors combine these strategies. 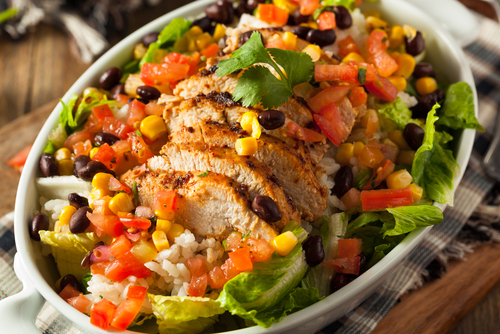 Chipotle Mexican Grill (NYSE: CMG) is a great example of a current momentum stock. CMG stock began to slide at the end of 2015 thanks to an E. coli breakout. Before the E. coli concerns Chipotle was trading at a high of $749 in August of 2015. After several more food poisoning outbreaks, CMG had slid all the way to $255 per share in February 2018. Obviously, that is the wrong kind of momentum for buying. However, in the last 52 weeks CMG has recovered. Since the beginning of the new year, Chipotle has been one of the strongest publicly traded companies. Shares are up over 50%. Chipotle is a good example of mixing value and momentum investing. The prices were down from their pre-food-poisoning highs, making it a value investment. And then the prices soared making it a good momentum investment. According to Zacks Momentum Style Score, Chipotle has a momentum style score of B. For reference, A is a strong buy, and B is a buy. Shares are up 5.79% over the last week. Any stock can have a good week, but great momentum stocks perform well over longer periods of time. Shares of CMG have increased 38.02% over the past quarter, and 114.64% over the last year. For comparisons sake, the S&P 500 has only increased 14.25% over the past quarter, and 11.02% over the last year. CMG is outperforming the market. It’s no wonder momentum investors are bullish on Chipotle’s stock! Momentum investing is simple in theory, but difficult in practice. Momentum stocks can change quickly. You have to spend a lot of time in front of a screen watching the market fluctuate. The average investor is not looking to day trade. Momentum investing can be a high-turnover and high-cost strategy. Fortunately, you can invest in momentum exchange-traded funds (ETF’s). Nicholas Vardy, an ETF strategist of Liberty Through Wealth, recommends the iShares Edge MSCI USA Momentum Factor ETF (BTC: MTUM). The fund has outperformed the S&P 500 since its inception. There are many other momentum ETF’s out there to choose from. Remember, the trend is your friend. Consider adding momentum stocks to your portfolio.